The killing of the Garrison Commander, 33 Artillery Brigade of Nigerian Army in Shadawanka Barracks, Bauchi, Col. Mohammed Barack, by suspected gunmen has thrown the town into a tensed security situation. Military authorities in Bauchi on Monday were thrown into mourning following the incident. The news of Barack’s death is coming on the heels of an already tensed atmosphere in the state with security everywhere as the results of the governorship election in Tafawa Balewa which was earlier cancelled by the Independent National Electoral Commission (INEC). And now, that decision has been reversed and the result from the area is awaiting to be announced on Tuesday. But a top security source told our correspondent that the tensed security situation in the state had nothing to do with the killing of the officer. Tension had indeed heightened shortly after the governorship and state Assembly elections as political thugs went on the rampage killing one and leaving several people injured in the state capital. As INEC prepares for the election re-run on March 23 which was later reversed, several protest rallies have been carried out by people protecting the outcome of the election, a development that forced the police to ban rallies in view of the tensed situation. But up till this moment, it still unclear if the gruesome murder of the senior military officer was a case of armed robbery attack or assassination at the time of this report. Unconfirmed sources said the killing could have been carried out by armed robbers. The Garrison Commander was killed on the ever-busy Bauchi-Jos Road on Sunday while he was riding a Power Bike on his way from Kaduna. 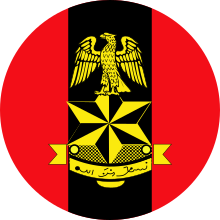 When our correspondent visited the 33 Artillery Brigade headquarters, Bauchi at about 2:30 pm, key military officers who could give official statement on the sad incident were said to have travelled to Kano where the remains of the slain officer was taken for burial, according to Islamic rites, after the necessary military rites. But as at the time of this report, he could not call back; an official statement is yet to be issued by the military.